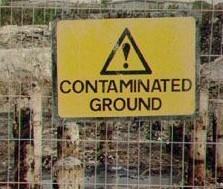 As a result of this country’s history of industrial production, there are many contaminated sites. In some cases this can result in soil and ground water pollution which has the potential to cause harm to: human health, water courses and the environment. Under the Environment Act 1995, all local authorities are expected to have a strategy to identify any contaminated sites in their area and to ensure that any significant risks are dealt with. This is mainly done by voluntary remediation of land, for example, when it is redeveloped. However, the council does have legal powers it can use where we cannot resolve the issue informally. In partnership with other councils in Leicestershire, Oadby and Wigston has produced a guide for developers of potentially contaminated sites. Any sites that are considered to be contaminated by the council or the Environment Agency must be kept on a public register. Our public register does not contain any entries, at present, as there are no properties determined in this way in Oadby and Wigston.